7 Nights in a 1 or 2 Bedroom Suite at the Meadow Lake Golf and Ski Resort in Columbia Falls, Montana! 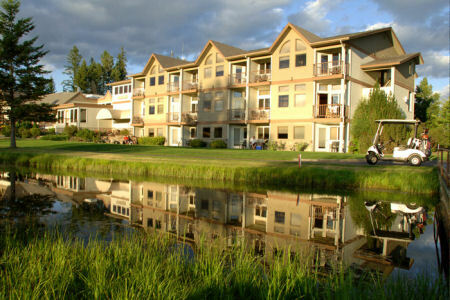 Meadow Lake Golf and Ski Resort in Columbia Falls, Montana - Bid on a 7 Night Stay in a 1 or 2 Bedroom Suite! Enjoy 7 Nights in a 1 or 2 Bedroom Suite at the Meadow Lake Golf and Ski Resort in Columbia Falls, Montana! Visit Meadow Lake Resort, the premiere Montana Golf and Ski Resort located just minutes to Big Mountain at Whitefish, Glacier National Park and Flathead Lake. Meadow Lake Resort features hotel accommodations, condominium rentals and vacation rentals as well as a recreation center with pools, hot tub and fitness room. Spend your day being pampered at our full-service Spa at Meadow Lake day spa, play 18 holes at the championship Meadow Lake Golf Course or simply relax with family and friends in our picturesque Montana vacation resort setting. Plan your next Montana Vacation at Meadow lake Resort. Open Monday - Saturday and Sunday's by appt. The Following Check-in Dates and Units Sizes are Available for a 7 Night Stay! 1 Bedroom Suite: Sleeps 4 and has a Full Kitchen. UPGRADE TO A 2 BEDROOM SUITE ON THE FOLLOWING DATES FOR ONLY $100 FOR THE ENTIRE WEEK! 2 Bedroom Suite: Sleeps 6 people and has a Full Kitchen. Resort charges a mandatory Resort Activities Fee of $12 per day.